Description : 1 High Quality and Safe Acrylic:High quality acrylic makeup organizer assures sturdiness and long lasting durability. 2 Multifunctional:The makeup organizer can store makeup brushes, qips, lipsticks, nail polish, essential oil ,office supplies and men's shavers/watches. 3 Clear Material: Acrylic makeup organizer makes it easy to see exactly where everything is. 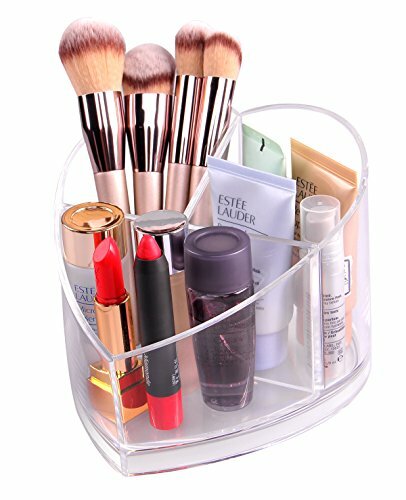 4 The cheap makeup organizer is Strong Durable CONSTRUCTION: This holder stand is composed of a very strong acrylic material With excellent weather resistant and much stronger than glass, which ensures its durability and security from injury and breakage. FINE WORKMANSHIP with each compartment is Uniform size, 3D laser cut,carefully polished and nice & safe packing 4 Occassion: The Makeup Brushes Organizer best use in Home,Office,Bathroom,Kitchen. 5 DIMENSIONS- Measures 5.5" x 5.5" x 4.7" 6 Best Gifts to friends,family,Lover,Colleague,Girlfriend,Perfect to order it together with makeup brushes in our store. 7 Elegant Look:Fashion design brush holder will shine your dressing table. *The mirror rotates 360 degrees and has a rubberized soft bottom that serves a dual purpose in protecting your countertop, as well as to keep the mirror from moving while in use. The Classic design provides an elegant decor to your room. 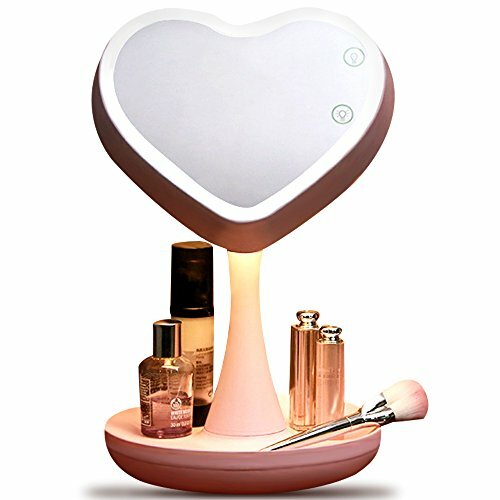 * Whether that be a quick move from your bedroom to your bathroom, or from the office to a trip out of town, this convenient beauty mirror is always at hand. No matter if you're a man or woman, this compact mirror with an easily detachable base is a cinch to pack and move wherever you need to be. * Creative detachable design, easy to pack up and easy to assemble, Great item to put in the bedroom, bathroom, tabletop etc, Ideal for home, office, travel, school, and more! Dimensions: * Oval Total width: 18.8cm, total height: 29.8cm,glass size: 13.2cm (width), 18.5cm(length) * Circular Total width: 20.5cm, total height: 25.5cm, glass size: 15.5cm (width), 15.5cm (length) * Two sided mirror: basic & magnifying x3 * Material: ABS+ glass Package content: *1 x base*1 x pole with two screws attached to its both ends *1 x mirror connected its frame* Mirror is easy to assemble to display a clean reflection, Wonderful gift for a loved one or yourself. 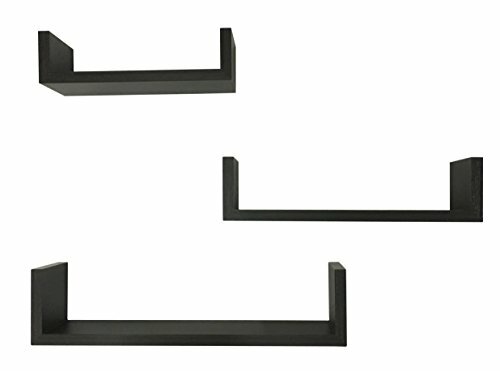 This set of 3 U shape display shelves are made of MDF. It's easy to install in a few minutes. You can hang a set of three to create library, display and highlight a favorite collectible. Minor assembly is required. Approximate Dimensions: Large: 17 x 4 x 4". Medium: 13 x 4 x 3.5". Small: 9 x 4 x 3". *Due to monitor variations colors may appear slightly different. * Brand:EWEI'S HomeWares, We guarantee you'll be happy or we guarantee your money back. Now you can add a little bling to your walls, furniture and more with our adhesive mirrors. 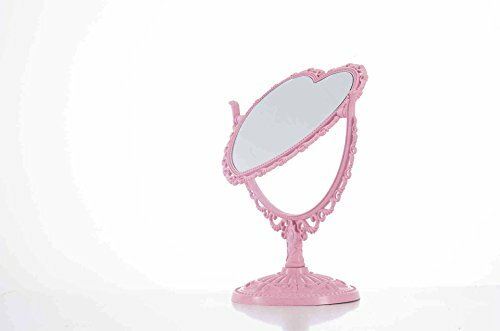 These fun mirrors will light up the room with a touch of trend. 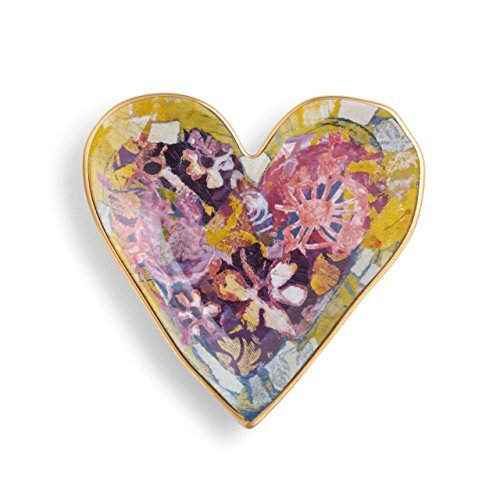 Each collection includes a variety of pieces to allow you to add your own creative flair by grouping and adhering as you please. 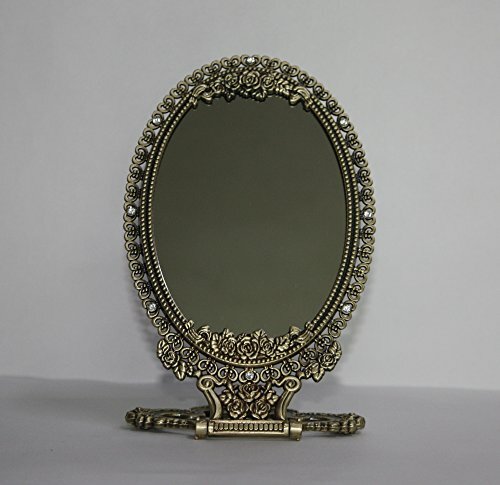 Our mirrors are crafted from high-quality acrylic for safety and are self-adhesive for easy use. Simply peel and adhere to create your own polished look. 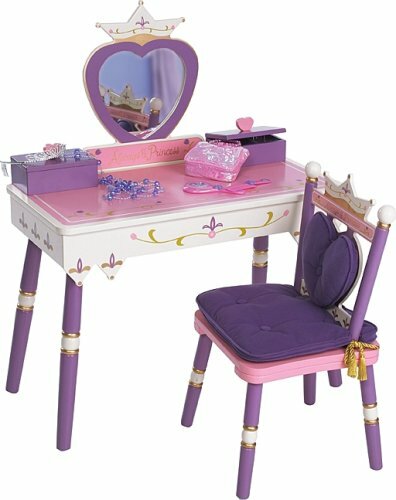 Looking for more Heart Vanity similar ideas? Try to explore these searches: Leather Hobble Straps, Ge Mwf Refrigerator Filter, and Att 2.4 Ghz Cordless Phone. Look at latest related video about Heart Vanity. Shopwizion.com is the smartest way for online shopping: compare prices of leading online shops for best deals around the web. 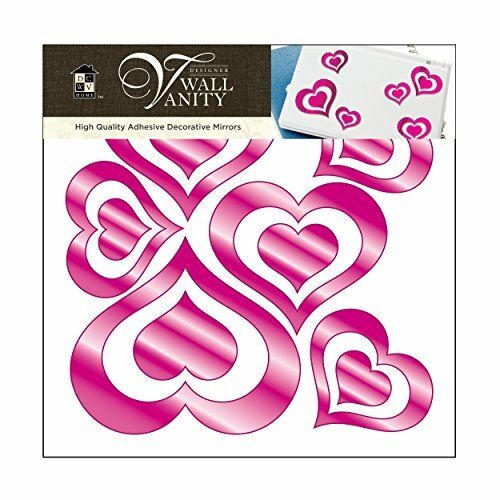 Don't miss TOP Heart Vanity deals, updated daily.